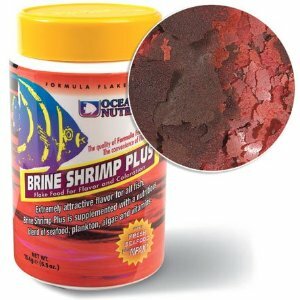 Home > Popular Category > Aquarium Supplies > Fish, Reef, Aquarium Foods > Dry Aquarium Fish Food > Ocean Nutrition Brine Shrimp Plus Flake 5.5 oz. FreshMarine.com will not share your email address with anyone. This Brine Shrimp is supplemented with a nutritious blend of seafood, plankton, algae, vitamins, etc. yielding succulent flavor and complete balanced nutrition for healthier, robust, and more colorful tropical fish.